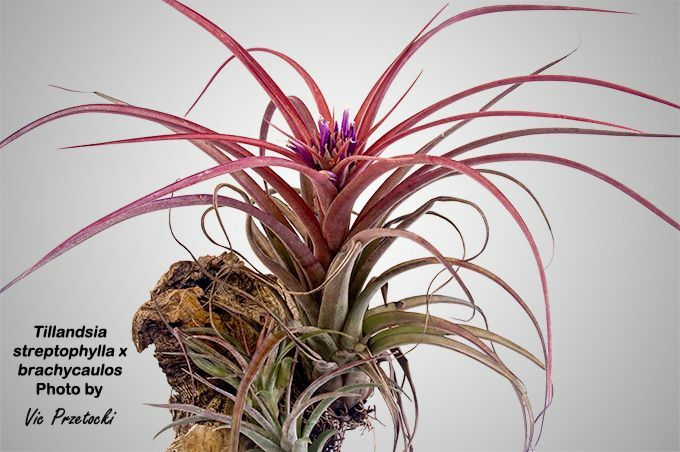 (concolor x streptophylla) x brachycaulos, C. Sanchez-Mariscal IV. From BCR... "Mature rosette to 30cm. diameter x 30cm high in spike.. Scurfed, grey-green, stiff recurving leaves, tapering to a point. Inflorescence is 14cm. high with green/cherry red floral bracts, protruding purple flowers and scurfed brick red surrounding leaves. Philippines." 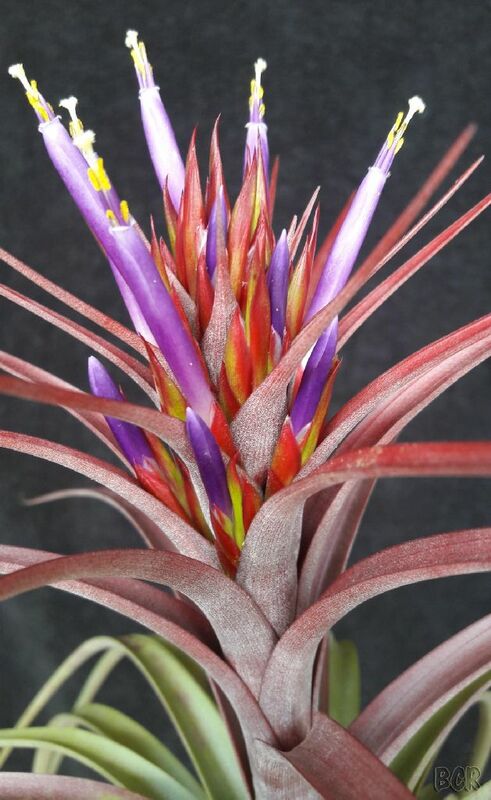 Vic Przetocki ... "Tillandsia streptophylla x brachycaulos, unknown history to this plant, reverse parentage to Till. Eric Knobloch." Ed. ... "Could Vic's plant be the same as 'Dionisia Endrinal' ?" 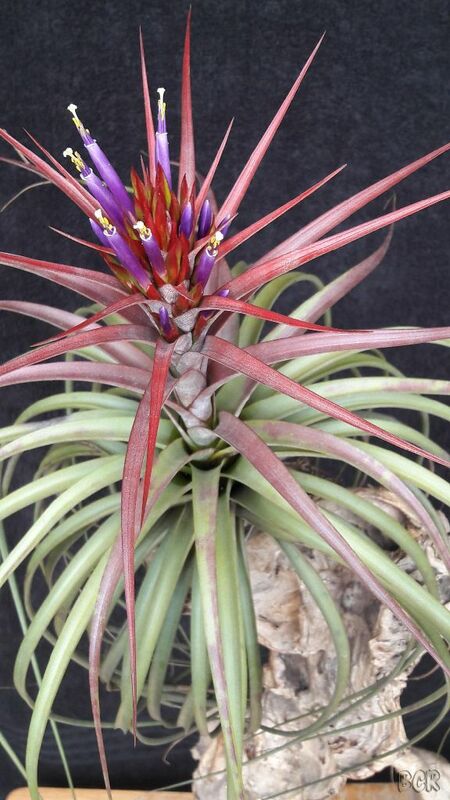 Vic Przetocki ... "Bob Hudson said that this plant was T. Love Knot but the parentage of Love Knot is capitata x streptophylla so am none the wiser. 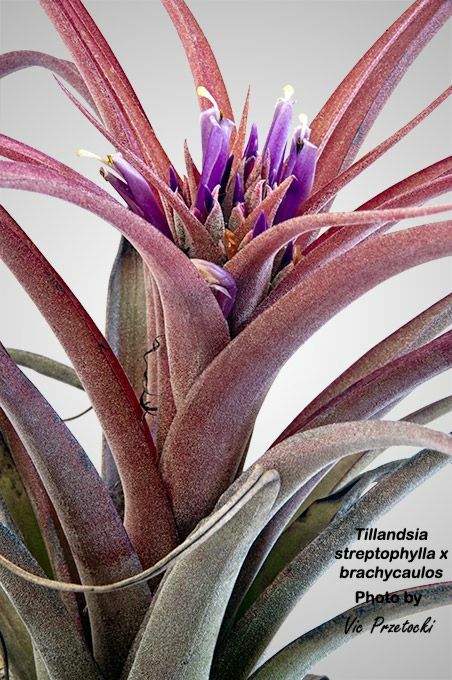 I also don’t believe the plant I have is T. Dionisia Endrinal which seems to have lots more leaves and a taller/different flower spike."